One of the most profitable horror movies ever made, this tale of an exorcism is based loosely on actual events. When young Regan (Linda Blair) starts acting odd — levitating, speaking in tongues — her worried mother (Ellen Burstyn) seeks medical help, only to hit a dead end. A local priest (Jason Miller), however, thinks the girl may be seized by the devil. 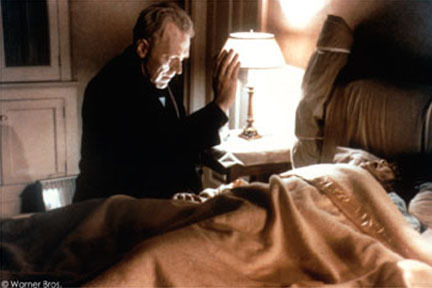 The priest makes a request to perform an exorcism, and the church sends in an expert (Max von Sydow) to help with the difficult job.